CHELSEA space proudly presents Neue Slowenische Kunst 1984-1992, a timely show dedicated to the radical Slovenian art collective Neue Slowenische Kunst (New Slovenian Art), focussing on key members: Laibach, IRWIN, New Collectivism and Theatre of the Sisters of Scipion Nasice, tracing the impact of their work and the important role London played in the collective’s activities. 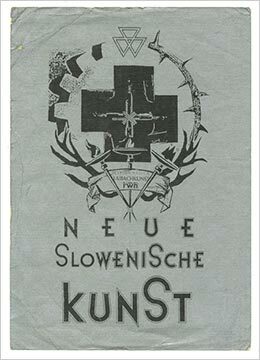 Neue Slowenische Kunst emerged in the early 1980’s in the former Socialist Federal Republic of Yugoslavia and is widely considered the last true avant-garde of the twentieth century, critically reflecting on totalitarianism across visual art, theatre, music, performance, design and theory. 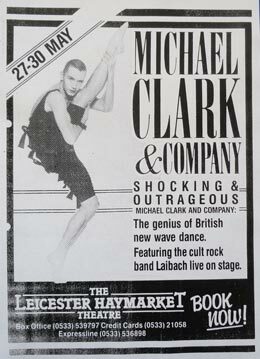 Beyond the popular culture references and subversive music of Laibach, the wider activities of Neue Slowenische Kunst have been overlooked in the UK, especially the connections between Ljubljana and London. Drawing on material sourced from various archives covering the period 1984 – 1992, including the Laibach Kunst, IRWIN, and New Collectivism archives in Ljubljana, and the archive of David Gothard in London, this show will feature photographs, posters, catalogues, and video documentation, alongside numerous articles published in the UK that relate to exhibitions and performances including Edinburgh Fringe Festival theatre productions hosted by Richard de Marco, exhibitions at AIR Gallery and Riverside Studios, and Laibach collaborations with the dancer Michael Clark. 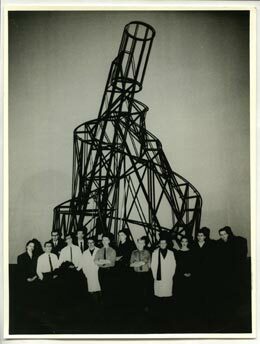 The show also marks a distinct component in a unique three-part presentation of Neue Slowenische Kunst’s activities in co-operation with TATE Modern and Calvert 22, and will provide a fascinating insight into the complexities of one of the most important artistic movements to emerge from Eastern Europe.